hi friends! i have a two quick updates for you as publication day draws closer (!!!!!!!). all special guests have been announced and i’m THRILLED to be hitting the road with so many fiercely talented badass lady authors. Update #2: the preorder giveaway closes on September 18th at midnight and i have been SO EXCITED to see all of the “MEETING THOMAS CRESSWELL” posts across social media. i’m so thrilled you’re enjoying his novella. even though it says “US/CA only” on the site, it is open to international readers with a valid receipt of purchase. lastly, my author copies arrived and i totally cried AGAIN. i don’t think this part of the process will ever, EVER get old. i am so thankful and so grateful to be doing this for a living and don’t ever take it for granted. thank you all so much for the support and enthusiasm for HUNTING PRINCE DRACULA! i cannot wait to share this story with you. SECRETS ARE SO HARD TO KEEP, but the wait is officially over—i can FINALLY share the HUNTING PRINCE DRACULA pre-order campaign with you! 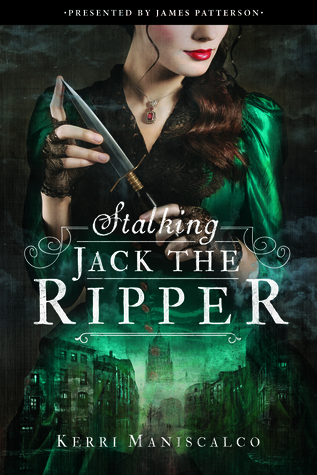 i wrote an exclusive STALKING JACK THE RIPPER novella narrated from Thomas’s point of view. that’s right…for everyone who’s ever wanted to be inside Mr. Thomas Cresswell’s Sherlockian brain, this is your chance. MEETING THOMAS CRESSWELL is a special limited-edition offer—you won’t be able to get this novella anywhere else once the campaign is closed. from deductions, to sass, and how he felt meeting Audrey Rose for the first time, i hope you enjoy Cresswell’s story! details on how to qualify for the pre-order giveaway can be found HERE. ***even though it says “US/CA” it is open internationally since it’s a digital download–i made sure to check with my publisher. anyone/anywhere can upload their proof of purchase. ***all receipts must be received and uploaded by September 18th at midnight. Add HUNTING PRINCE DRACULA to your goodreads shelves here!